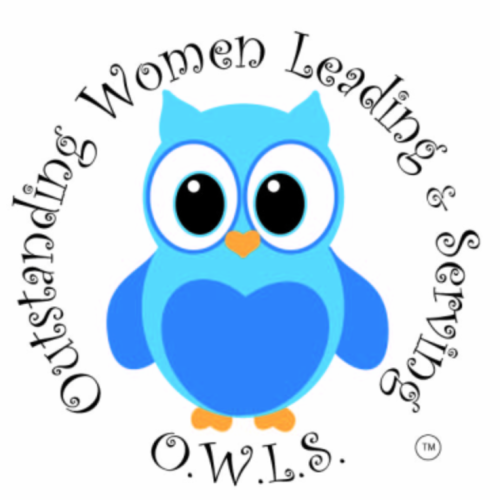 Outstanding Women Leading and Serving or “OWLS” is a program designed to help prepare young women for leadership and service in the Lord’s church. I know what you are thinking…the role women have been given by God is not one of leadership. But are you are right? It is true that women were not given the task of public leadership in corporate worship; however, there are many ways women were and are called to lead and to serve. Think of the countless Christians who were taught the Gospel by their childhood female teachers. What about others who through personal Bible studies were taught the Gospel by our sisters in Christ. Think about presenters and teachers at Women’s conferences such as our W2W conference. How did those women learn how to teach? How did they acquire the knowledge and skill to prepare the lessons? Where did their courage come from? Someone had to teach them. Admittedly, some may, through formal education, acquire the knowledge, skill and courage and translate that to their service in the Kingdom, but that educational path may not be taken by all. So the question remains how do women in the Lord’s Church develop the tools to teach and serve in the Kingdom? The answer to that question is the ultimate goal and purpose of OWLS; teaching our young ladies how to teach, how to serve and how to foster the courage that it takes to do both. Our overarching theme every year is based on Proverbs 31:30, which states that “Charm is deceptive, and beauty is fleeting; but a woman who fears the LORD is to be praised”. That is such a powerful Proverb. It can lead discussions into all aspects of what it means to be a Godly woman. As the basis of our camp, we utilize this theme and highlight different aspects of what it means each year. For 2015, our theme was “Living Righteously” based on the Book of James. Since this is OWLS camp, our campers were divided into small groups or “nests”. Each nest is comprised of 6 to 7 campers with 2 to 3 counselors per nest. Each nest met together before breakfast and the campers lead the devotionals. After breakfast and morning chores, we had our main lessons for the day. Our 2015 speaker, Becky Blackmon, is from Waco, Texas, and presented a series of lessons from the Book of James. 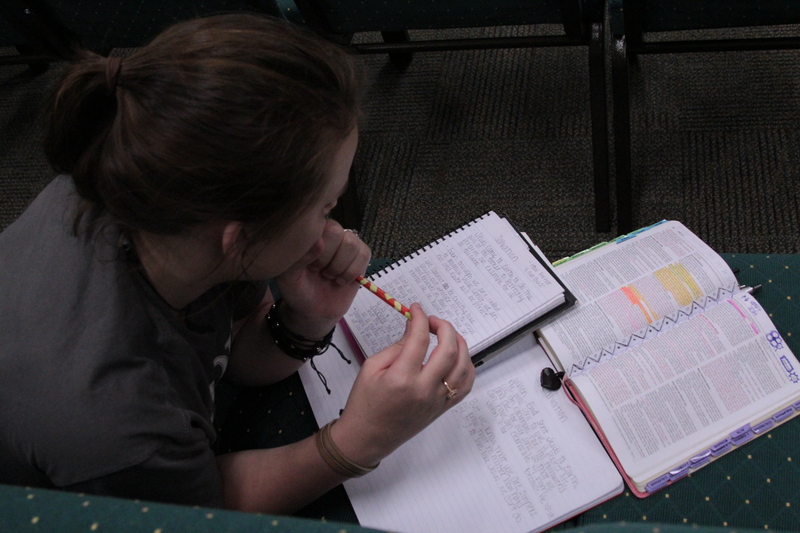 After the keynote lesson, the campers and counselors spent some time in individual Bible study to dig even deeper into the Word. Each counselor then led their nest in a small group discussion based on the individual study. As stated above, one of the goals of the camp is to teach our campers how to teach. 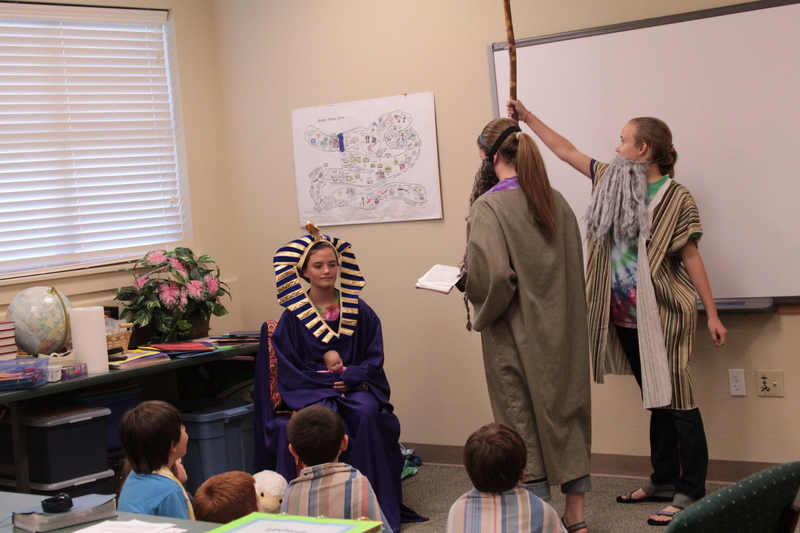 To that end, each camper chose one of two lesson paths: 1) How to teach children’s Bible class or 2) How to prepare a devotional for their peers and older women. The campers were given time each day after lunch to develop those lessons. The campers developed their lessons Monday through Wednesday and then presented their lessons to various classes for 3-year olds through 3rd grade, middle and high school young ladies, and adult ladies on Wednesday night. 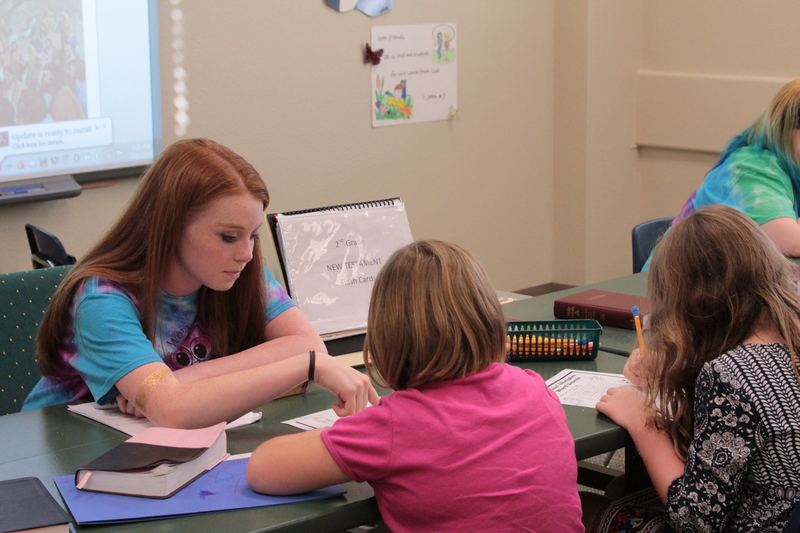 To further the other main goal of OWLS, each afternoon was devoted to serving others. I believe one of the lost arts in this world is that of visiting others. When is the last time you took time to go visit someone? 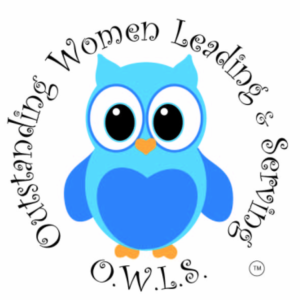 OWLS ladies visited countless elderly and shut-ins in Denton and Lewisville and began learning the skill of listening and conversing with others who are not their peers. They also spent time volunteering at Denton County Friends of the Family, spent time with the children at Christ Haven, wrote encouragement cards to members on the prayer list, and assembled packets for Mission Printing. As a few of the young ladies expressed to me the last day of camp “I cannot wait to grow up and be a counselor to help other young girls. How cool would it be if I started an OWLS camp somewhere else!” Indeed, it will be cool to see the impact these young women will have in the future here and abroad. 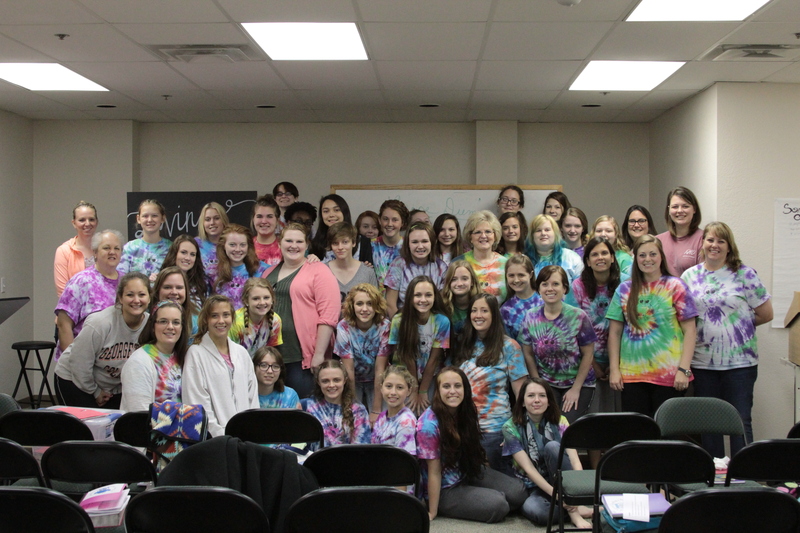 Please join me in praying that the young ladies will use their talents for leading and serving to the glory of God.